At the Peace Conference in 1919 the victors divided the spoils. The British claimed and got the lion’s share. 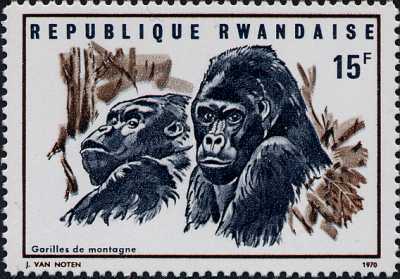 Belgium was thrown a picturesque bone: Ruanda-Urundi hidden away beside the Mountain of the Moon. When the Belgians scuttled out of the Congo in 1960, they had left the country well prepared for war and anarchy. The prospect of their departure from Ruanda-Urundi, though delayed for two years, had the same disastrous effect. The comment below is from Peter Uvin in response to my interview with Have Hegenbarth – also below. Peter is the Academic Dean and Henry J. Leir Professor of International Humanitarian Studies at the Fletcher School of Law and Diplomacy at Tufts University. He received his doctorate in international relations from the Institut Universitaire de Hautes Etudes Internationales, University of Geneva. He was Research Associate Professor at the Watson Institute of International Affairs, Brown University, taught at New Hampshire College and the Graduate School of Development Studies, Geneva. Peter worked periodically in Africa as development practitioner and consultant, collaborating with UNDP, OECD, Belgian, Dutch, Danish, and British bilateral agencies. Peter’s book, Aiding Violence: The Development Enterprise in Rwanda, won 1999 African Studies Association Herskovits Award for most outstanding book on Africa. I am glad I stumbled on this page. Hava’s drawings are amazing. But what I find more interesting is not so much the quality of the work (there is obviously real talent and dedication behind this) as the fact that one can have a professional career, and a demanding one at that, and still remain deeply engaged in a major and fulfilling hobby as well, performing in both at the highest level. People often think they have to chose, but with some love and energy it is possible to fulfill the multiple sides of ourselves–and to touch many people in the process. I guess I should say something about the Rwandan genocide; I have after all written a book about it. But there is little to say: I can well imagine Hava’s fear, shared by many people in this world (not only in Africa), when confronted with such violence, such threat. Your life is totally outside of your control then. It is so scary, even if you survive–it leaves scars. I do not so much agree with the whole “savages” discussion. If there is one thing I have observed in life, it is that great evil, great violence, is not usually done out of savagery or evil–it is done out of strong belief, true commitment, a deep sense of duty. Sure there are evil people who enjoy killing and have no morality or empathy at all, but, fortunately, these are few. Most of the mass killings in this world are done by people who think they are doing the right thing, and the same held for most Rwandans participating in the genocide. They thought they were defending the nation from a return to feudalism, that they were protecting their children’s future, stopping the enemy within, etc. That is one of the most amazing things about us humans. We are very moral. And we do very immoral things because of it. A career as a Foreign Service Officer posted to the African Continent can range from very bland to very colorful. It can range from pleasant and peaceful to dramatic and dangerous. It all depends which African country the foreign service assignment posting is in and what is occurring within that country at that time. How about Rwanda in 1994 just as the genocide in that country was starting to escalate into one of the worst episodes in modern history? That was the year and that was the country that Hava Hegenbarth was posted to. She arrived in Rwanda in January, 1994. By April, 1994 she was trying to desperately escape out of the country with, in her own words, “my life and the clothes I was wearing”. She had abandoned her professional premises and all her possessions. At one point, at a roadblock, Hava and her convoy found themselves talking to an angry mob of villagers who wanted to pour gasoline on her and her convoy. To set them all on fire. Karim: I think most people reading this interview can probably only relate to the Rwandan genocide through having watched the movie Hotel Rwanda. Hava: Yes, I can understand that. Of course, it is not a movie I would want to see because it is very hard to revisit those memories. Karim: The nearest reference point I have to your experience, Hava, is growing up in Kenya and hearing about what some of my relatives had to endure in neighboring Uganda under the ethnic cleansing of Idi Amin’s regime. I suppose another reference movie – this for the brutal regime of Idi Amin – would be The Last King of Scotland. Hava: I actually went to Uganda in the aftermath of Idi Amin’s reign and witnessed some of the areas where his mass murdering henchmen dispensed of human carcasses. Karim: Bring us to that crucial moment when you were about to have gasoline poured on your head and then lit on fire and then burned to death. Hava: Well, once the murder and ethnic cleansing and genocide started to escalate all our lives were in danger. Foreigners became scapegoats. We just had to get out of the country. So a group of us formed a convoy and headed out of the country. However, every few kilometers there was a roadblock of army thugs who stopped us and would extort us for money. So we kept handing out cash in local currency at every stage and fortunately, they did not kill us but they let us go. At one point, in the middle of the night, we arrived at a roadblock in a small village. The men who stopped us were not armed with guns. They had spears and machetes. Karim: What did they say? Hava: The usual – they wanted money. But by now we had run out of cash from paying off all the different roadblock army guys. We had some US dollars but they were no use to them. Karim: So they refused the US dollars and you were now out of stuff to barter for your life with? Hava: Precisely. So now it was a matter of trying to figure out how to talk our way out of the situation. And that did not look promising. They were getting angry with us because they thought we were Belgians. Well, we did have some Belgians in our convoy, yes. But we did not let on. And our convoy was pretty large by now because we had been picking up folks along the way – trying to save as many lives as we could by letting them all join our convoy. Karim: I cannot imagine what was going through your mind at the time, Hava..
Hava: Interesting, what goes through a person’s mind in this situation. Honestly, the only thought I was having at this moment when we were doomed to die was how? How shall I die? Karim: What was the best option in your mind? Hava: I did not wish to be burned to death. That is what I was thinking in that moment. And so I was deciding to make a run for it. I knew I would not make it if I ran, but I also knew that I would likely die either with a spear in my back or being bludgeoned and hacked by a machete. In that moment, those two options seemed so much more comforting than being doused with petrol and set on fire. This was no longer about survival options. Only options on how to die. Karim: Why did you not run, Hava? Hava: Well just when I was considering it, one of our convoy was fiddling about in the glove compartment of the vehicle and found a handful of ballpoint pens – you know, cheap government issue ballpoints which we used in the foreign office. And so we offered these ballpoints as a barter for our lives and – remarkably – the villagers conceded because pens are something functional that they could actually use. So they were pleased – and they let us go! Karim: So the cheap government issue ballpoint pens saved your life? Hava: Yes, they did in a way. Karim: Well, let’s turn from ballpoint pens to colored pencils. Why colored pencils? Hava: I spent many years in the foreign service. After Rwanda, I was posted to Tanzania. And a couple of years after that I became a rover. And I remained a rover for the next nine years. Hava: A rover is a person in the foreign service who is randomly and frequently made to switch country designations sometimes at a drop of a hat. So I travelled to many different countries and often did not have foreknowledge of where I would be assigned. Karim: And how does being a rover relate to color pencils? Hava: Convenience. When you are traveling so frequently and you want to practice your art, paints and many other mediums become impractical. Oils for example, will often break and leak and mess up all the other items in your suitcase. And you need tubs of clean, clear water for watercolors – in Africa that is not always easy to find. But color pencils never let you down. They are so convenient and portable to travel with. Karim: So this was partly necessity-driven? Hava: Yes, partly. But also because pencils are so precise. Paints smudge, for example. But a sharpened color pencil allows for precision work and that is something I grew very fond of over the years. And as I said, I was a rover in the foreign service for 9 years. Karim: Thank you, Hava, for being so brave and forthright about your experiences in Rwanda. Can you close by telling us a little about the artwork displayed here? Hava: The hippos were difficult to draw and color. This is because hippos do not have fur, they have skin tones like humans do, with complex layers of pigmentation and tone. And then, when the hippos get wet in the river that also changes the hue of their skin. This one with the zebras above – it is entitled “Long Cool Drink” – is the very first color pencil drawing I ever did. That’s how it all started. I spent a lot of time in the game reserves in many different African countries just observing wildlife, developing perspective. Then I got out my color pencils. Hava was born in Iowa, and although knew she had a talent for art; she did not study art beyond the required classes in junior high and high school. She joined the Foreign Service in 1991. Her first assignment was to Canberra, Australia. While there, Hava first began to seriously produce wildlife art. Her subjects were Australian animals and birds. Her work was exhibited at shows, local galleries and at the U.S. Embassy where she worked. All of her work there was sold and she has developed a following among the American Foreign Service community ever since. Although she loved Australia and all Australian wildlife, Hava’s first love was the great beasts of Africa. After Canberra she was fortunate to be assigned to an African post. Unfortunately it was to Rwanda in 1994. She was only assigned there 10 weeks when the infamous genocide broke out and Hava had to flee for her life. She was not able to take much with her and all of her work during that period was looted along with all of her household goods. She was shortly thereafter reassigned to Dar-es-Salaam, Tanzania, and there found a wildlife goldmine. Tanzania is where she began to seriously produce high-quality work. She exhibited and sold at a local Dar-es-Salaam gallery and started producing prints in Tanzania. Hava also painted a mural of giraffes on the wall of the embassy as a gift to her colleagues. The mural was destroyed in the 1998 terrorist bombing of U.S. Embassy in Dar-es-Salaam. Hava immediately repainted a smaller replacement painting of the giraffes and sent it to the staff of embassy Dar as a large get-well card. The painting was framed and hung in the new United States Embassy’s entrance hall. Hava is extremely honored that they have done so and considers Dar-es-Salaam her favorite post. Hava uses photographs and notes taken while on safari to produce her work. She can work in any medium, but preferred to use color pencils. She was on the road constantly with her rover job with the United States Foreign Service and consequently lived out of a couple of suitcases. She found it easier to carry and use colored pencils since they pack well and – unlike oil and watercolor paints – they do not require a lot of careful maintenance.